The former ‘Law & Order SVU’ actress and her husband are combining two units in a West Village building to create a five-bedroom spread. 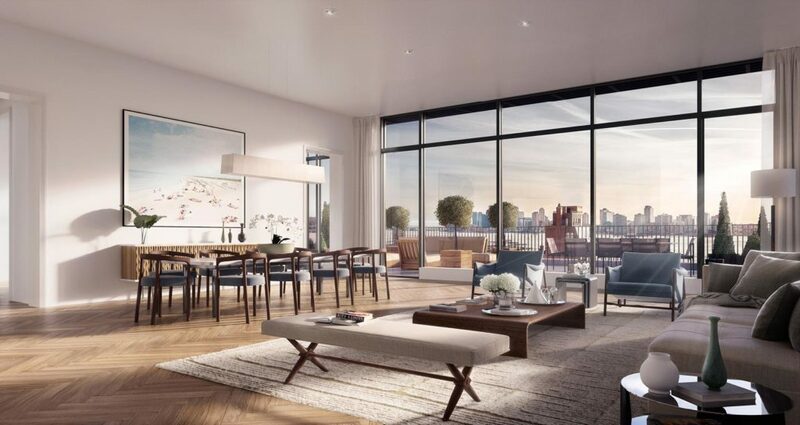 Former “Law & Order SVU” actress Stephanie March and her husband, technology investor Daniel Benton, have purchased a penthouse in a Manhattan building for $34.62 million, according to people with knowledge of the deal. The couple is combining two units at the building, known as the Shephard, to create a 6,836-square-foot spread with five bedrooms and 3,451 square feet of terrace space, these people said. The upper level is largely constructed from glass and has a 70-foot-wide terrace with an outdoor kitchen. In the West Village on a tree-lined block, the Shephard comprises 38 apartments, according to the developer’s website. The 12-story red brick-and-granite building was constructed as a warehouse in the late 1800s. Developers Naftali Group and Starwood Capital recently converted most of the units into condos after buying the building for $68.2 million in 2014, according to public records. The building has a paneled library opening onto a garden, two spas, a gym with a climbing wall, a half basketball court and a golf simulator. The apartments have mahogany cabinetry and white oak herringbone-style floors. There are still several units for sale at the building, according to listings website StreetEasy. Alexa Lambert, an agent at Stribling Marketing Associates, is overseeing sales at the building. Ms. March and Mr. Benton married in September 2017, according to Ms. March’s social media accounts. Ms. March was previously married to chef and television personality Bobby Flay. Mr. Benton and his ex-wife Anna Benton still own a penthouse on the Upper East Side that was purchased for $39 million in 2012, according to property records. A spokesperson for Ms. March declined to comment. Mr. Benton couldn’t be reached for comment. Daniel Chun of Elegran Real Estate represented Ms. March and Mr. Benton.